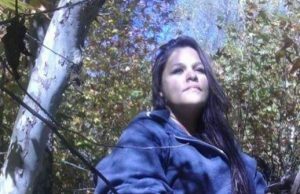 Scratch the surface of the living conditions in the United States, and you’ll find immigrants for whom deportation is not merely a threat or a rumor but a part of their daily experience. 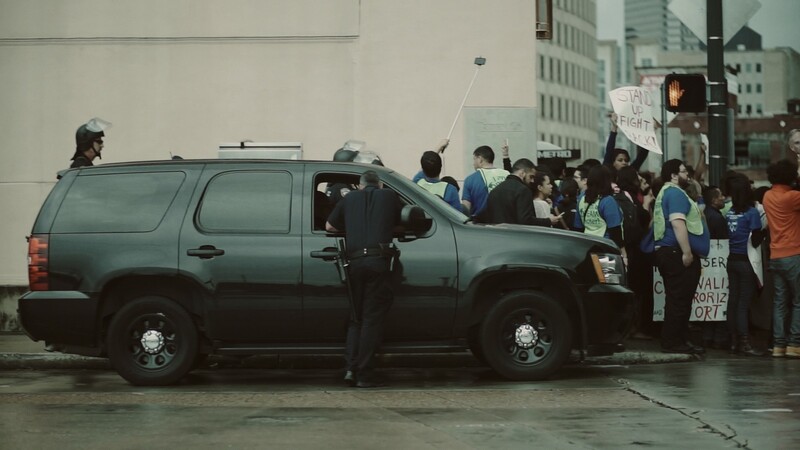 For example, the life of migrants in Houston, is full of complications and ironies. Indeed, the city welcomes more refugees than any other city in the United States. Surveys show Houston-area residents generally welcome immigrants, with 72 percent saying immigrants should be granted a path towards legal citizenship, and 59 percent agreeing that immigration mostly strengthens American culture. But the area also leads the country in deportations and incarceration of undocumented migrants. 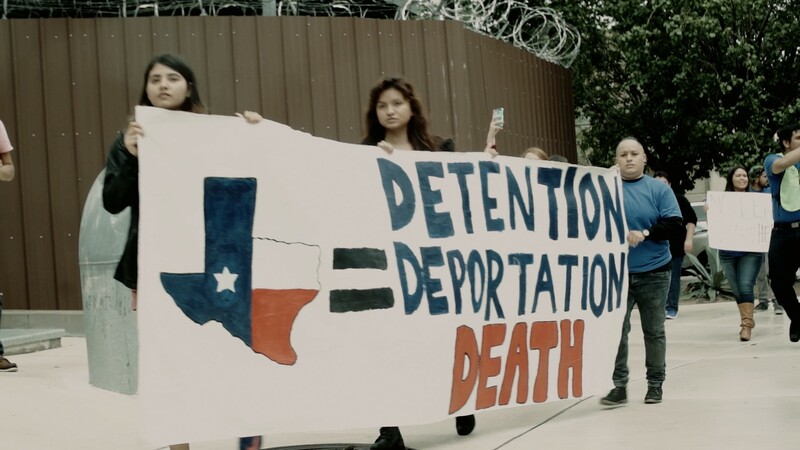 Texas has more detention facilities than any other state, and consequently leads the nation in border crossing deaths. The trends are in large part the result of the growing security cooperation between local police and immigration agents (see the history of the 287(g) program). 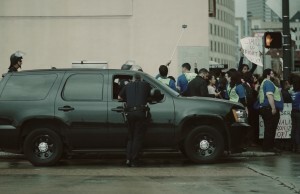 In Houston, the challenges facing undocumented immigrants from Central America who cross the border in order to be granted asylum are particularly striking and raise many questions: What are the implications of such politics of displacement? What is the difference between asylum seekers from the Americas, the Middle East, Asia, and Africa? What is the relationship between the war on drugs and the war on terror? What are the many implications of the apathy around displacement? 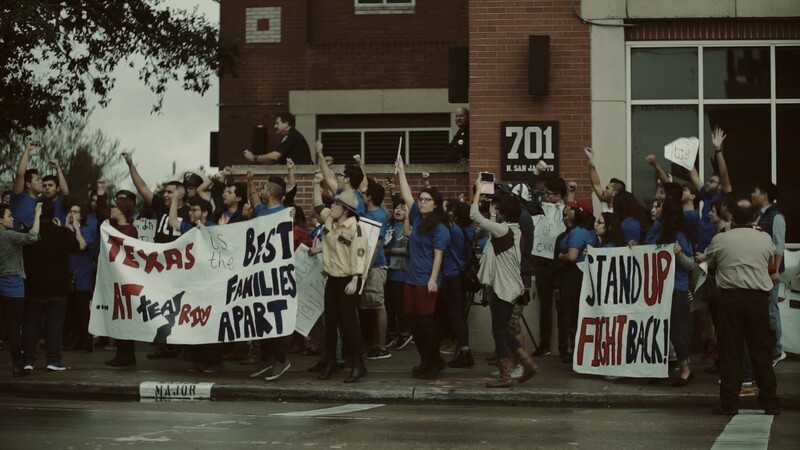 On a Wednesday morning last month, I witnessed more than 100 young people from across the region rally at the Harris County jail in downtown Houston to address that disparity of the undocumented community. The protesters—sons and daughters of undocumented families that arrived to the U.S. from El Salvador, Guatemala, Mexico and other Central American countries—voiced their anger against the growing number of deported and incarcerated families. 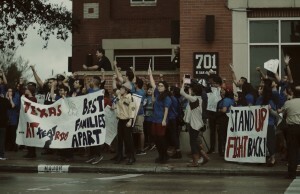 The group protested the growing collaboration between U.S. Immigration and Customs Enforcement (ICE) and the Harris County Sheriff’s Department in imprisoning and deporting undocumented migrants. 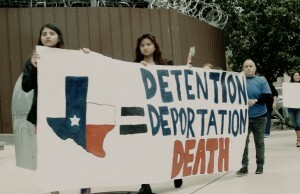 They also criticized the fact that the Harris County jail is among the state’s largest lockup of undocumented immigrants. 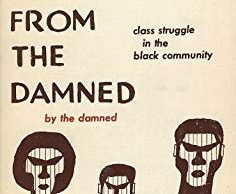 What they didn’t realize was how much harder their work would soon become, particularly since this culture of fear towards immigrants has such a strong impact on the approaching election. Just a few days after their protest, a federal judge ruled that a pair of programs the Obama administration introduced to ease the threat of deportation facing millions of undocumented migrants would remain blocked. It was a blow to both the administration as well as immigrants who had desperately sought relief. And just days after that, in the wake of terrorist attacks in Paris, more than half the nation’s governors joined forces to say they wouldn’t allow Syrians refugees, fleeing from a civil war between ISIS terrorists an authoritarian regime, within their borders. There are debates about whether or not those governors have that authority, but given the plan to raid and deport families who arrived in the country for the last two years and whose asylum appeals have been denied, migration to the U.S. doesn’t become easier. In some cases, recent asylum seekers are asked to wait until 2021 to determine their status. Those events are a dual blow to those who already face major obstacles in their attempts to flee poverty, violence, or other untenable conditions in search of a better life in the U.S. To be clear, just in the last months of 2015, the number of child migrants who attempted to cross the U.S. border was more than 12,000, where in total in that year more that 100,000 unaccompanied children and children with adults did just the same thing in order to escape various environmental, political, and economic travesties in Central America. Along these lines, recent data released by the U.S. Department of Homeland Security data show the Obama administration deported 438,421 unauthorized immigrants in fiscal year 2013. That was a record high. However, it’s important to point out that the trend comes as the United States funnels millions of dollars to the Mexican government as part of a program intended to prevent Central Americans who are fleeing violence from reaching the U.S. border where they can seek asylum, according to the New York Times. 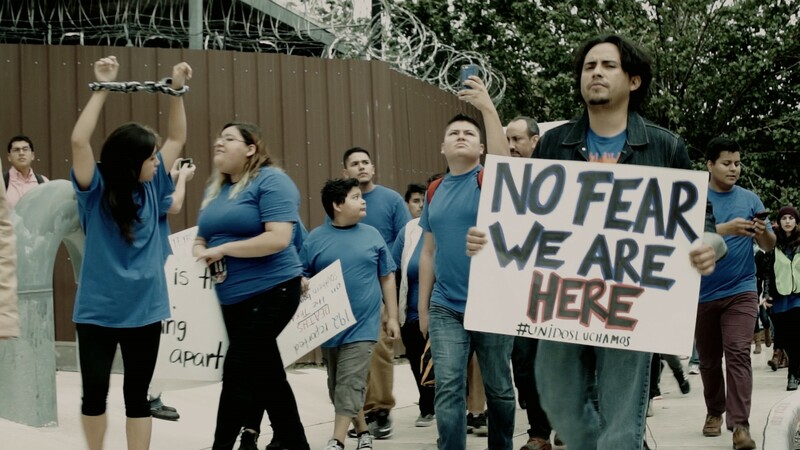 As a direct result, many undocumented families who flee harm and seek asylum continue to confront innumerable obstacles – including possible incarceration. We’ve also seen reports of asylum-seekers locked in for-profit immigrant detention centers, apparently in an effort to convince them to return to their home countries. While much attention in American mainstream media is given to the refugee crisis unfolding in Europe as families flee from places like Syria, not enough is given to undocumented migrants from Latin America, who are often forced to leave their homes without the proper documentation and whose asylum appeals are being denied and they are deported: that is, forced to return to the horrors and devastation in their home countries. 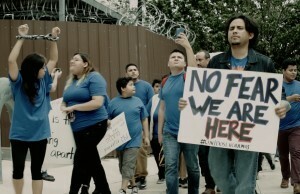 Today, the growing undocumented population in the U.S. faces imminent needs. Those 11.3 million individuals – who represent an estimated 3.5 percent of the population – are largely silenced. Yet the obstacles seem to mount. Many members of the undocumented community might have had the option of appealing to the Deferred Action for Childhood Arrivals (DACA) or the Deferred Action for Parental Accountability (DAPA) for relief. But for now, those hopes have been dashed, pending a ruling from the U.S. Supreme Court. In the meantime, people like her will continue to live in fear that family members could be deported or incarcerated. At a time when political gain and interest sway the rhetoric over migration, we should also be more attentive to those who are unable to seek asylum, a claim only available under a set of very specific circumstances. The numbers only tell a minor part of that story. Indeed, the United States accepted around 69,986 refugees in fiscal year of 2014, and slightly more than 70,000 are expected to arrive in fiscal year of 2015. In comparison, Germany, which welcomes more refugees than any other European country, takes in more than a million migrants (including refugees and asylum seekers) in 2015. But the recent coverage of U.S. mainstream media showed scant regard for those who have constantly marched and protested against the unjust treatment of undocumented migrants. For these reasons, the United States should find a way to welcome the increasing number of displaced people from places like Syria, Iraq, Afghanistan, and Congo, to name a few. But at the same time, we must not lose sight of Mexican and Central American undocumented immigrants who are already here, mired in a system that does not do them justice. We must treat them better and allow families of immigrants to seek asylum with dignity. 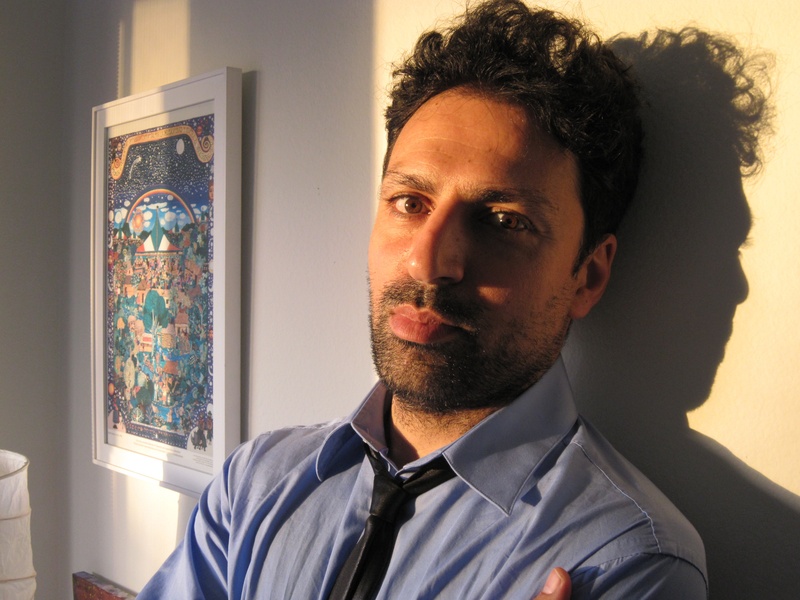 Yehuda Sharim is a Kinder Institute Scholar and postdoctoral fellow in Jewish Studies at Rice University. 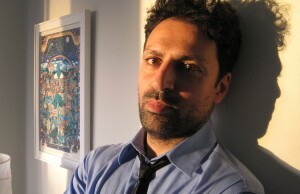 He is studying migrant and refugee communities in Houston. Thank You, Sir. May I Have Another…Pad?